Discover the growing world of sustainability and green living and how this movement is transforming businesses and workplaces throughout the globe. The movement towards greener living and sustainability is spreading quickly and has permeated the business world. Recently, many businesses have been quick to develop environmentally conscious brands to project an image of responsibility and credibility. 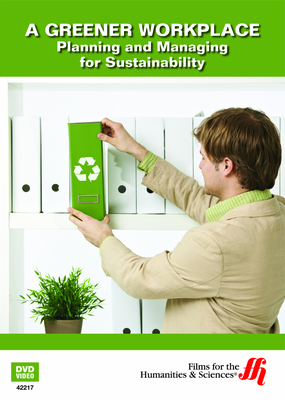 Green business practices are also becoming key to attracting high-quality employees. This film dives into the world of green businesses and discusses the advantages that businesses are seeing from taking an ecological approach in their policies and practices. The mixing of corporate ideals with concepts of sustainability are explored with environmental experts and various business leaders. Learning about green business practices and how to integrate ecologically conscious efforts into an existing business are more important than ever, making this a great resource for current and future business owners.